KCC Ball - "Old Shanghai"
Our friends athe KCC are holding a Ball on Saturday 18th May at their club. 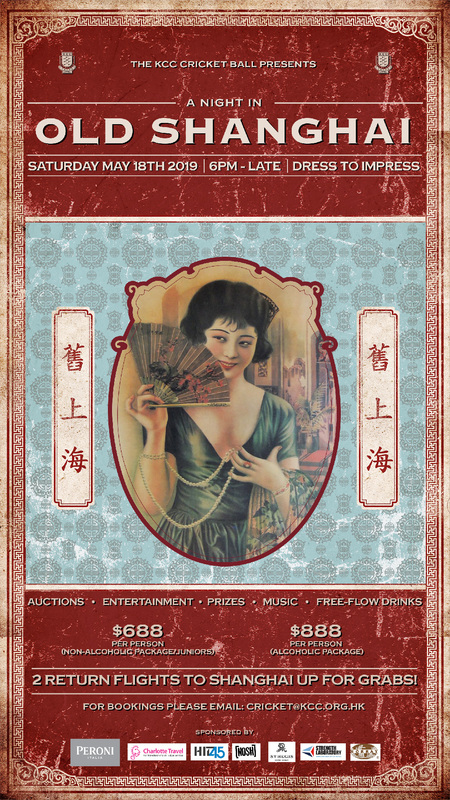 We have regularly attended their event and are looking to support this evening for a taste of "Old Shanghai". We hope to get a table of 10 revellers so we can reduce the cost from $888 per person down to $800 all inclusive. Of course wives, wives to be, partners and friends are very much welcome. Click on the image for a larger view of the poster to see the details of the night and please respond on TeamSnap if you haven't already. So here we go again, a tour to one of our Club's favourite destinations, Chiang Mai in northern Thailand. This venue ticks all those boxes and more. The airport is only 15 minutes away from the city and The Top North Hotel is very conveniently located within the old city wall. We hope to have a team fly out on Thursday for a 40 over game on the Friday; LCC vs Lanna CC at Prem International School. The match will have umpires, a scorer and teas provided at this very impressive ground. Simply fly out Friday afternoon for the Sat & Sun Big Bash tournament only. No doubt the days will begin with an invited sherry at Phil's followed by breakfast at the nearby Blue Mango restaurant. A songthaew will be arranged to the ground each day and to the airport. Check out the pictures below to get your appetite whetted and sign up on TeamSnap now! Further information will be coming to you from your Events Manager nearer the times by our usual communication channels of WhatsApp and TeamSnap. The work was all set by the time the first overseas visitors arrived – the pitch was pieced together, wicket leveled and prepared, boundary markers spread out and flags pitched, all looking good and ready for another LCC Beach Cricket Big Bash. The first game was Moa Buccaneers versus The Swashbucklers and The Swashbucklers came out convincing winners. This was followed by DB Sea Eagle versus the defending champions, The Mutineers, where DB were bowled out cheaply before the required runs were knocked off at a rapid rate. After the first round of games it looked like The Swashbucklers were the favourites for this year, however first blood went to the competitive Mutineers in their next round-robin game. The Moa Buccaneers were boosted by the late but welcome arrival of Ching before their game with The Mutineers who were off colour for this match. The game was well won by Buccaneers. This final result meant that all 3 LCC teams had played 3 games, won 2 and lost one with the DB Sea Eagles losing all 3 of their matches. The finalists had to be separated by run rate with The Mutineers just scraping past The Moa Buccaneers to meet The Swashbucklers in the Castle Cup. The DB team had made a decent fist of their matches but were outplayed by all 3 LCC teams. They were well supported and appreciated their efforts, bats and balls. The Plastic Spade (well it wasn’t a wooden spoon) was played out between The Moa Buccaneers and DB Sea Eagles. The Moa Buccaneers took an easy victory so it was for the DB Sea Eagles to take the Spade back home to DB. To the Castle Cup Final and The Swashbucklers won the toss and put The Mutineers into bat. It was obviously a bat first wicket as a massive 121 runs were plundered to defend their Cup. Nearly 50% of the runs came in one over off the bat of Boots in the fourth double-run-count over. 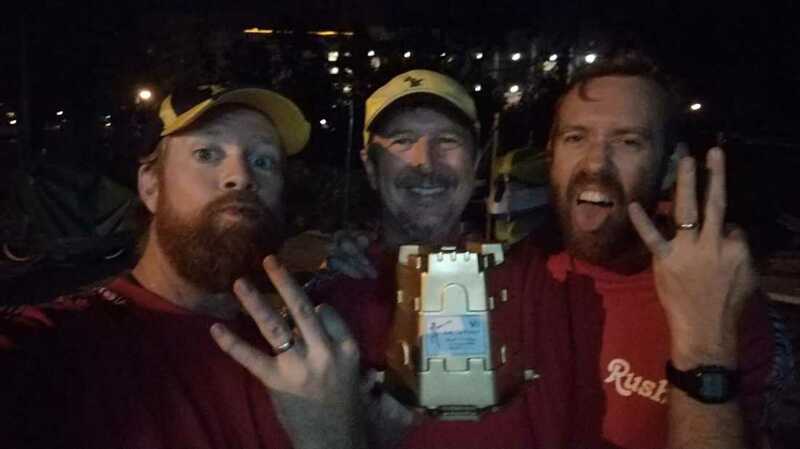 It was too much for the pretenders to the crown and The Mutineers were once again the victors of The Castle Cup, making it the third year running! 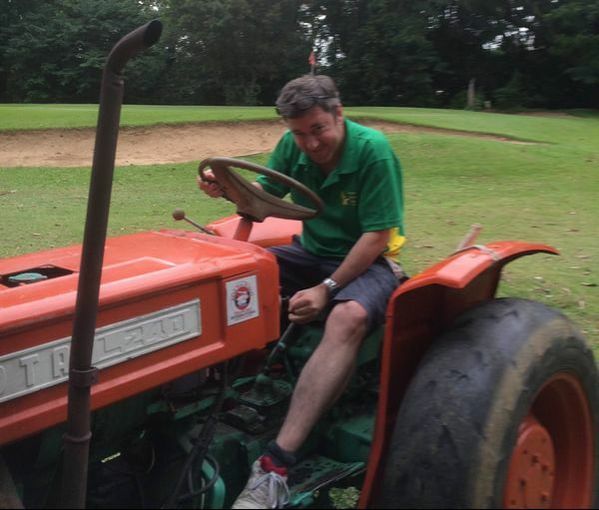 Sadly this was cap'n Richie's last match for The Mutineers as he sails away to other shores, so who knows how the defence for The Mutineers will go for next year? Player of the Tournament went to Justin with his big hitting and tidy bowling throughout the tournament. He was presented with a magnum of Moa South Pacific IPA from Tournament Director, 'Boots' Davies, but there were plenty of notable contributions from all the teams that competed. The preparation and ground work was carried on from Rigger’s fine legacy and it was led by Boots with (mostly) able assistance from Richie, Brenton & Chucker. A hearty appreciation goes out to their hard work in preparation and organisation for this very popular event. Thanks too to Malky for the use of his PA system, Moa for their contribution of fine ales and to various friends who joined in to make it the successful day it was. It's a very busy weekend coming up for Lamma C.C. There's the T20 Blitz, a social game against our old friends and foes, HKU, and for a lucky group, there's the Chiang Mai long weekend tour to Thailand. We will be playing a 40 over game on turf on the Saturday at the Prem International School and a shortened format game on the Sunday at the Gymkhana ground. Both grounds are excellent and is expected to be very well hosted by our friend and ex-LCC player, Chris Coombes and his Club. 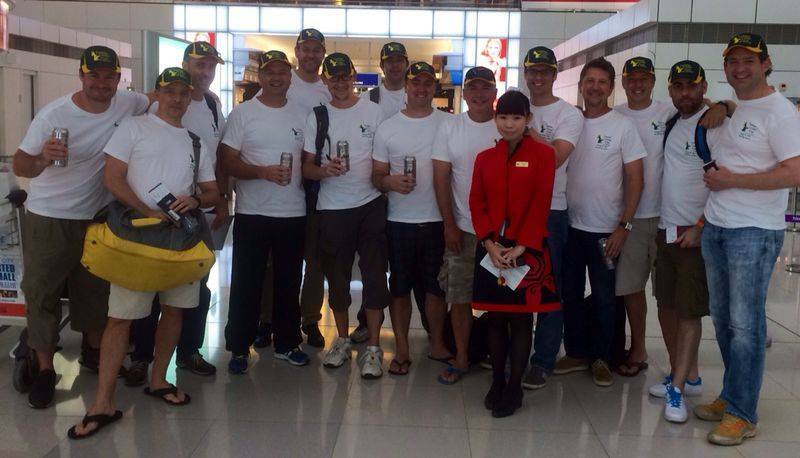 Just a few month later LCC are back in action in Thailand to attend the very popular Hua Hin 6's. The Club entry has been made and booking are gathering momentum for this family oriented trip, staying at the fabulous 5 star Dusit Thani Hotel which - believe it or not - has the cricket pitch on its grounds! The dates are fly out on 4 April and return on 11 April. 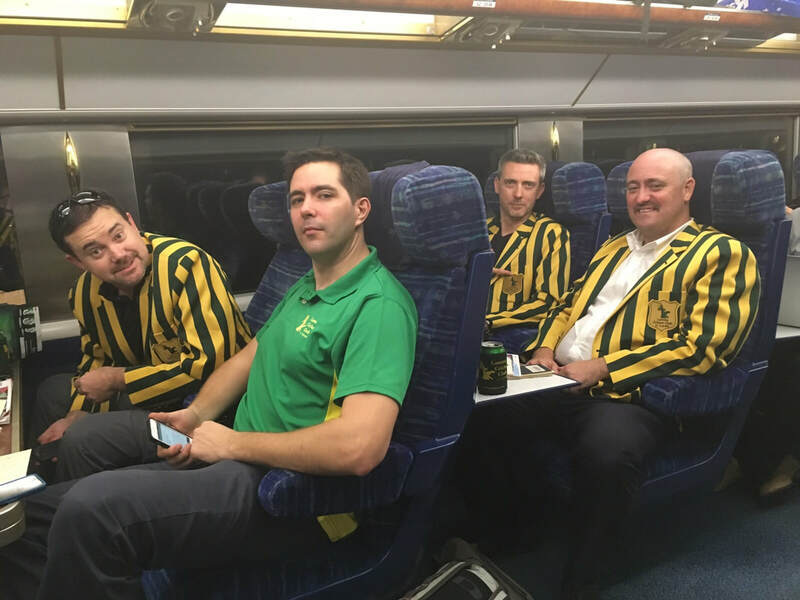 In early July 2017, Cricket Hong's Lamma Cricket Club, famous for their brightly coloured green and gold blazers, took to the steppes of Mongolia for some cricket. While ten men on horseback galloping, some galloping voluntarily and some not, across a backdrop of rolling grasslands and traditional Mongolian gers (yurts) was an impressive spectacle, it was for cricket that the team had travelled the distance to play. Two games were played over an enjoyable weekend. 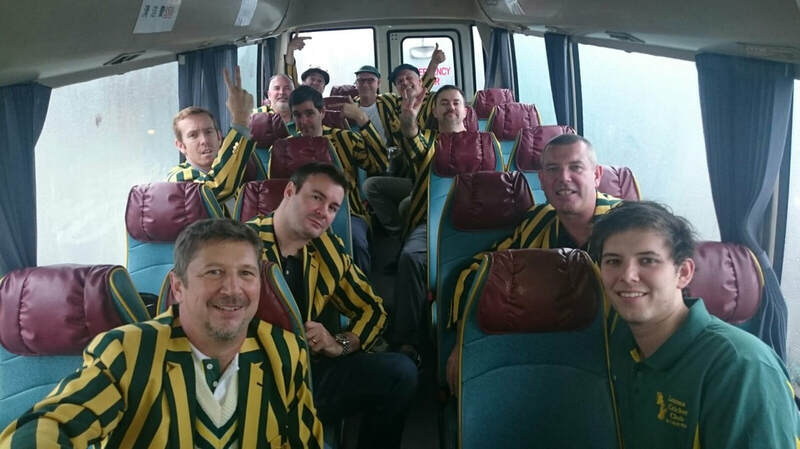 The first was against a young and enthusiastic Mongolian XI who elected to bat first and were doing very well until Lamma CC Tour Manager, Richie Abbott, claimed 4 wickets in an over including a hat-trick to ensure the Mongolian total was not a huge one. Lamma made short work of the run chase, passing the Mongolian's score with only 2 wickets down. The second match was played against a team made up mostly of Mongolian ex-pats. The Mongolians batted first. 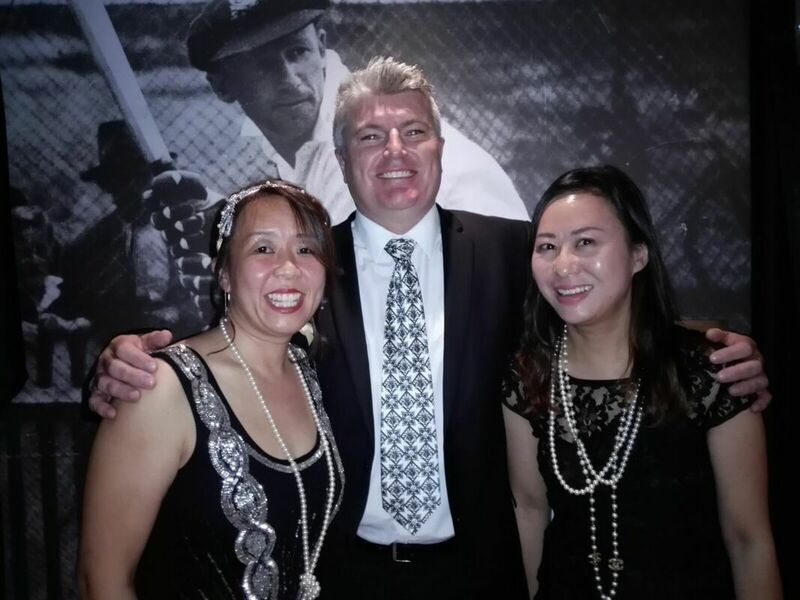 Their solid total of 152 was looking out of reach when the 6th Lamma wicket fell with more than 80 runs still required, but thanks to a match winning 7th wicket partnership between tour heroes Richie Abbott and Dave Ziehlke, Lamma chased down the total with around 2 overs to spare. In between the two games, Lamma CC were treated to an amazing cultural experience and buffet dinner in an art gallery. A live music performance included a famous Mongolian folk singer and a traditional throat singing performance. 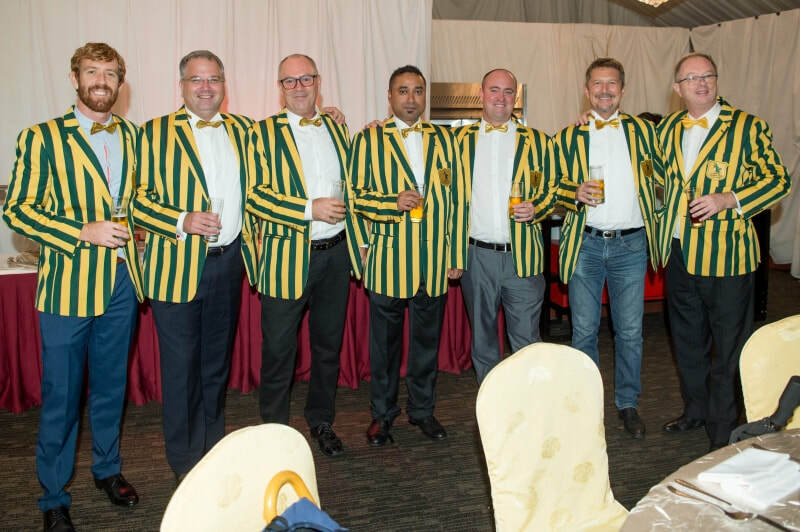 It was clear to all the Lamma lads that their hosts are very proud of their culture. 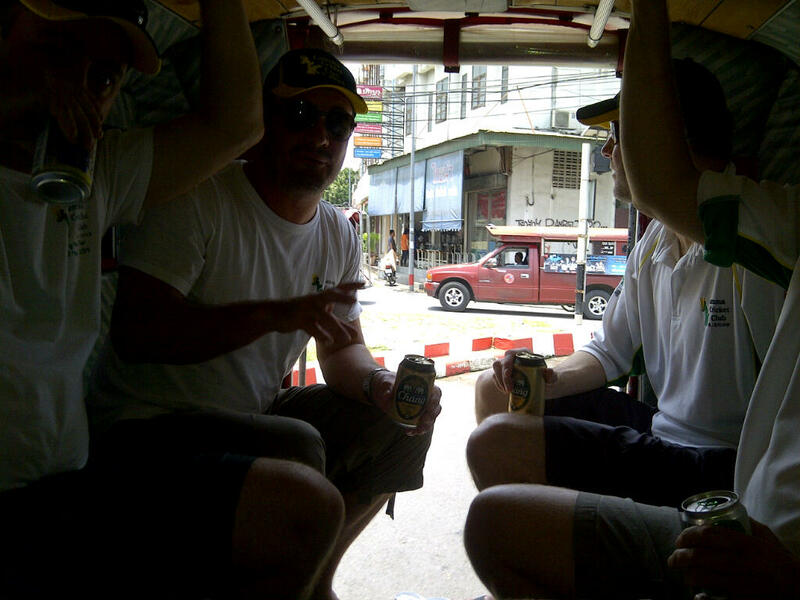 The Lamma tourists felt extremely privileged to enjoy the experience over a few refreshing ales. Mongolian hospitality is first rate. 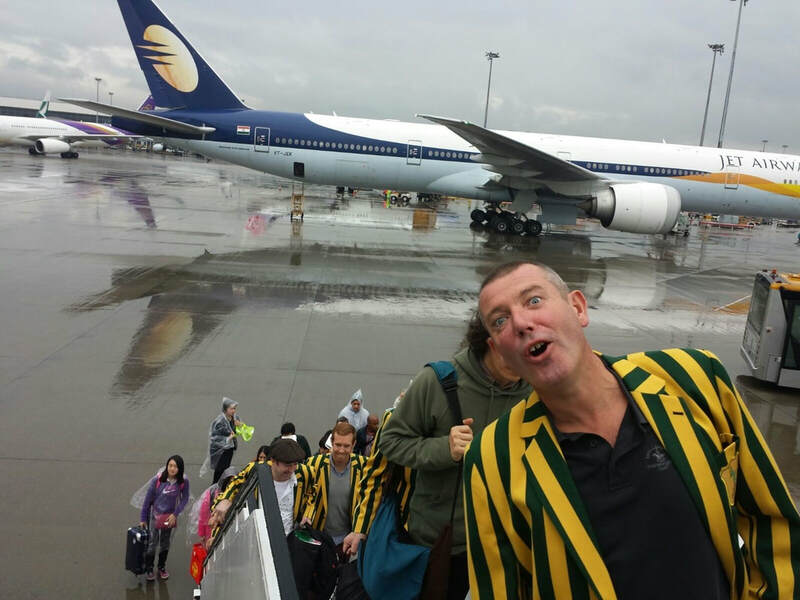 Overall, a fantastic tour with new friendships forged through cricket. Lamma CC would like to thank Battulga Gombo, Chris Hurd and everyone at the Mongolian Amateur Cricket Association for being such gracious hosts and helping to make this tour an outstanding success.